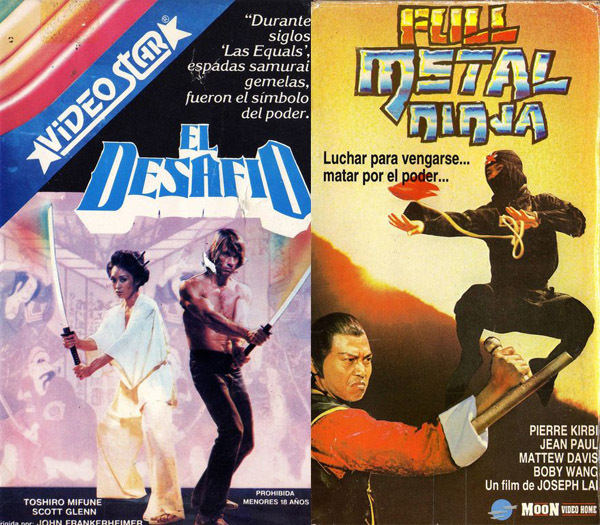 Raro VHS is a great new blog dedicated to VHS package art from Argentina. 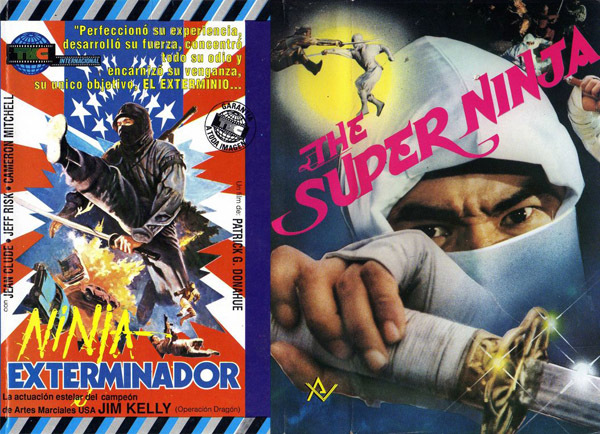 LOTS of ninja stuff, with art permutations I’ve never seen. 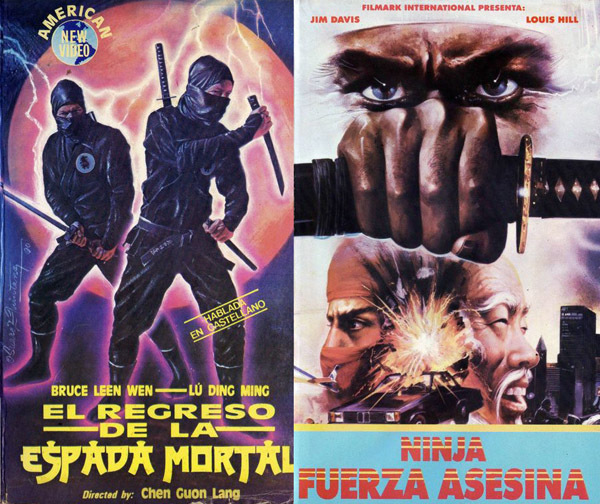 "Bruce Leen" - who was that, the pork-free diet Bruce Lee substitute? "Jean CLUDE???" And what movie were Jim Kelly and Cameron Mitchell in together? 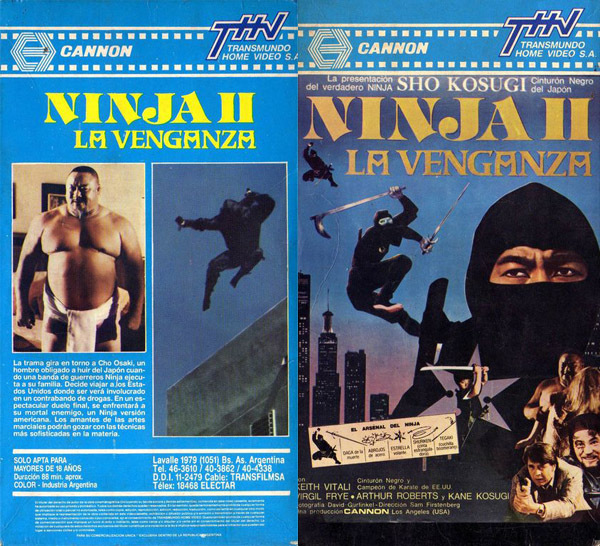 Their version of REVENGE OF THE NINJA. Big pro wrestling following in Argentina, might explain TORU TANAKA getting the major coverage on the back.